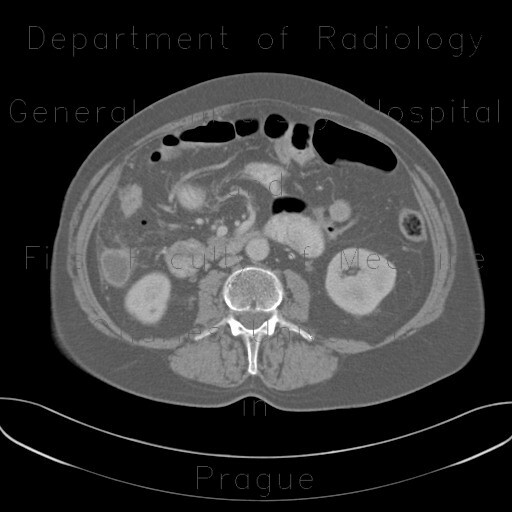 CT shows an inflammatory infiltrate surrounding in the right lower quadrant with stranding of adjacent mesenteric fat. The appendix has thickened wall that is perforated. A small bubble that escaped lumen of the appendix is trapped within the infitrate.